A woodburning stove installed in a house with an existing chimney to heat one room is likely to cost between £1,350 and £3,750, so there’s quite an initial outlay before the investment can start paying off. In terms of the stove itself, there are lots of different makes and models with varying price tags so it’s worth doing your research. In general, basic wood burning stoves with heat outputs of 4kW to 10kW sell for between £500 and £1,500, although designer stoves can cost substantially more. The main cost isn’t the stove. The average cost of installation is around £1,500, including sweeping and lining the chimney. Heating your water or other rooms will increase the cost. Installation also involves dropping a steel tube lining down an existing chimney, fireproofing the hearth area and making good any plasterwork. Typical costs range from between £750 to £2,000, depending on the exact work required. A slate or granite hearth will cost around £200 to £250. Tiles will be cheaper – around £100 to £125. A woodburning stove can be fed with logs, pellets and smokeless fuels. Although the price of wood fuel varies considerably, it is often cheaper than other heating options. 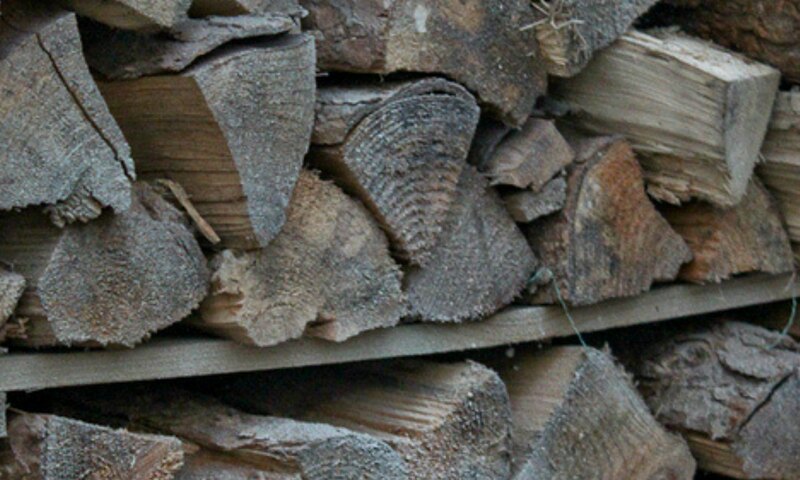 Seasoned hardwood (dried for at least a year) costs about £80 to £110 per 1m3, including delivery, which could last a 5kW woodburner a couple of winter months. It’s cheaper to buy unseasoned logs and ‘season’ them, but you will need storage space. If you live in a city, be aware of a couple of points. Wood prices can be higher in urban areas, so some people choose multi-fuel stoves, which burn wood and fossil fuels. Supplementing wood with smokeless fuel – while not as environmentally friendly – can keep costs down. Find out if you live in a smoke control area as your stove will need to be approved for use. For the lucky few that can gather their own wood, fuel for a wood-burning stove will be free. Regardless, logs are generally cheaper than pellets, but costs depend on the wood suppliers in your local area, as they cost a lot to transport. If you have room for a large fuel store that will accept several tonnes of pellets at a time, delivered in bulk by tanker, you can keep the cost down to around £190 per tonne in most parts of the UK. You can also buy a log maker for around £20 that turns your household paper waste into denser logs for your stove, with a burn time of as long as an hour. The main cost is for the chimney to be swept. This typically costs between £40 and £60 and should be done at least annually. A stove that is looked after will give you many years of service. If the good quality fuel is used and the stove is burnt efficiently then there should be very little maintenance required by the home owner. Keep the glass clean, do this little and often to stop the build of deposits, and clean out the ash periodically. The flue, whether it is lined or not, should be swept by a professional a minimum of once every twelve months, and more often if the stove is used constantly such as its part of your central heating system. Depending on the power output and the amount of usage, a wood burning stove could consume around £50 to £150 worth of wood per year. This should be substantially less than the cost of gas that would have been used. It may also allow the gas central heating to be switched on later as autumn approaches and to be turned off earlier in the spring. However, a standard wood-burning stove is only going to heat the room that it’s in, making it hard to estimate potential savings. Those with smaller homes that have a relatively open-plan layout do say that a wood-burner can heat a whole area rather than just one room. But if you want to heat your entire home you are likely to need more than one woodburner and if you want hot water from it you will also need to have a back boiler installed, see below. The height of the ceiling, the room’s insulation and the current heating arrangements are all factors in determining savings. Some stove retailers suggest you will save an average of 10 per cent on your current heating bills – but that’s not a widely accepted figure and for individual homes the savings could be higher or much lower. But using the 10 per cent figure, with an average dual fuel energy bill now hitting £1,434 a year, according to uSwitch, you could be making potential savings of more than £140 a year. This means if you paid £2,000 for a log stove, it would take nearly 15 years to claw back the cost of the installation. Chesney’s, however, calculates potential savings as much higher – up to a third. It believes Energy Saving Trust calculations are on the cautious side. Using the most expensive fuel type (kiln dried wood, see above), which costs an average of 4p per kilowatt hour, and comparing it against the new average 6p per kilowatt hour gas tariff, it has worked out that with gas prices rising by up to 11.1 per cent, the average household could save more than £300 a year on fuel with a wood burning stove. On the other hand, uSwitch.com, a comparison site, puts the average cost of gas at 5p per kilowatt hour for households when the price increases have been taken into consideration, which works out at an annual cost of £765 – a saving of around £100 for the average household, rather than around £300. Although the difference between gas and wood at this price is very little, households not connected to the gas grid stand to make huge savings by switching to wood-fueled heating systems. The annual energy bill savings for electric-heated homes, for example, could be around £630. It’s almost impossible to find agreement on the average savings of a woodburner. Plus, most people that want to buy a wood burning stove will do so for aesthetic reasons, rather than economic ones. Of course, you could go all out and install an entire army of woodburning stoves to heat your home, but for most this won’t be a sustainable option. One way to look at a woodburning stove is as a back-up – it can be more economical than turning on the gas central heating just to take the edge off a room. And, so long as you can afford the initial costs, it is undoubtedly a great way for households to cushion themselves from the blow of energy price hikes and gain a certain degree of independence from fuel giants. Another thing to bear in mind is that a wood burning stove could be a good investment, not just energy-wise, but because of their popularity it may add value to your home. A woodburner is a great focal point in a room and will make your home stand out to potential purchasers. Don’t forget, although energy prices are expected to keep rising, those eyeing up a stove should remember the cost of logs has also been driven up in recent years. If it is money-saving that you are after, a better option could be to install a biomass or wood-burning stove with a back boiler. Instead of simply warming one room, these connect to a back boiler and can heat water for your home. Options here range from a simple wood burner with back boiler, to pellet stoves that can have automatic ignition and can be put on a timer, like a traditional boiler. The price for installing this kind of heating system can be substantial. According to Energy Saving Trust, an automatically fed pellet boiler for an average home costs between £7,000 and £13,000 including installation, flue, fuel store and VAT at 5 per cent. Manually fed log boiler systems can be slightly cheaper. You may qualify for a grant to help with the installation of a biomass boiler, under the Renewable Heat Premium Payment scheme. If you’re replacing a gas heating system with a wood-burning boiler, you’re only likely to save around £90 a year. However, if you’re replacing an electric heating system, it’s much more worthwhile as you’ll save around £630 a year – as well as 7.5 tonnes of Co2. Generally, a 3.5×3.5m room needs a 5kW stove. For those who are more ambitious a stove with a back boiler can heat your hot water and/or central heating. There are output calculators on several websites; but all these do not take into account the age or the property, the insulation level or glazed area. Kilowatt size is important, a too large stove will be run ‘shut down’ and can cause glass blackening, tarring up of the chimney (a fire risk) and an uneconomical use of fuel. A traditional calculation used by stove specialists over the years is a kilowatt per fourteen cubic meters of room volume. This is only a guideline. There are advantages of both types of stoves; cast Iron heats up more slowly than steel but holds onto the heat for longer after the fire goes out; Steel has a higher tendency for warping, but cast iron can crack. Occurrences of these problems are pretty rare and are down to abuse of the stove. A good quality stove that is looked after will give you decades of reliable service. The emphasis is on a good quality stove, cheaper stoves use lower quality material and are therefore more prone to problems. Wood burning stoves can only burn wood, Multi fuel stoves can burn both wood and smokeless fuel. This may sound obvious but it’s a little more complicated than that. Wood burns best with an air supply over the top of it, no ash pan or grate is required and therefore is burnt on the base of the stove. Smokeless fuel requires a supply of air from the bottom, hence a grate is required and an ash pan to catch the ash so the supply of air can be kept clear. Though you can burn wood in a multi fuel stove, due to the air supply though the grate wood burns much quicker and therefore less efficient requiring more frequent loading. Some stoves have an option wood conversion kit, this cuts down the air through the grate and so slowing the burning. Smokeless fuel can be burned in Smoke Control Areas, requires less re-fuelling, gives more heat per Kg and can reliably be expected to burn over-night. Wood, on the other hand, lights easily, burns its own ash and doesn’t need the ash pan emptying and is cleaner to handle. Air vents are required to ensure there is enough air for good combustion and draught in the flue to ensure gases are exhausted up and out of the flue rather than back into the room. The requirement for most properties is that if a stove over 5KW is installed you require an air vent, the size is dependent on the kilowatt size of the stove. For more modern properties that have been built with low air permeability, it is required to have an air vent for even the smallest stoves. This air vent is required to be permanently open, some stoves offer a connection from the air vent directly to the stove as not to cool the rest of the room. All stove installations are required to have a Carbon Monoxide detector. Battery detectors are allowed, however, these are required to have a battery life for the life of the detector; in essence one that you cannot remove the battery. Mains powered detectors are permitted though they require failure indicators if ever the power is lost. For legal and safety reasons, using a HETAS registered installer is recommended. HETAS are the official body recognised by Government to approve biomass and solid fuel domestic heating appliances, fuels and services including the registration of competent installers and servicing businesses.